This heart healthy foods page was written to increase your awareness of the relationship between food and heart disease. This page is not intended for medical use. This page is based on medical literature, but is presented as a non medical opinion. The Healthy Diet Paradise is demonstrating the relationship between food and disease as a whole. The following heart healthy foods are current, time-tested and scientifically validated. It's never too late to begin to reduce and/or eliminate your risk for cardiovascular disease. 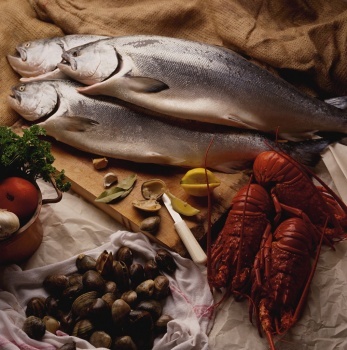 Seafood is rich in compounds that protect your heart. Fish contains lots of healthy Omega 3s that are crucial for the health of your heart. In the infamous DART study, participants were advised to eat at least two to three portions of fish per week. As a result, they were able to cut their risk of death by 29 percent in the two years following their heart attacks. The Journal of the American College of Cardiology states that eating fish can have a dramatic impact on reversing the incidence of heart disease. In a study conducted by Harvard, it was proven that women who ate fish a minimum of five times a week reduced their risk of heart attack by 34 percent. Many other studies have shown that Omega-3 fats from fish reduces the threat of heart attack or stroke by 50 percent. The Omega 3s contained in fish have been shown to lower the risk for heart disease. Salmon, sardines, trout, albacore tuna and halibut are excellent choices. Salmon in particular is rich in antioxidants that are excellent for heart health. Click here to learn more about salmon. Omega 3s can slow down and reverse the progression of atherosclerosis. Omega 3s guard against electrical disturbances or arrhythmias. Omega 3s also thin out the blood, making platelets less likely to clump together and create clots. Oily fish like mackerel, tuna, sardines, shrimp, and halibut contain a pure source of marine-derived omega-3 fatty acids, EPAs and DHAs. Fish is loaded with Vitamin D. Vitamin D is an incredibly potent heart protective nutrient. Low Vitamin D levels have been linked to a dramatic increase in risk for heart disease. Vitamin D blocks plaque growth and controls inflammation. Research has shown that individuals lacking in Vitamin D have a greater of risk for heart attack. Vitamin D is unique because it acts more like a hormone. Vitamin D is not only provided by foods, it is also synthesized through your skin from sun exposure. To boost vitamin d, try to get at least 10 to 15 minutes per day from the sun. If you are worried about contaminants or mercury in fish, keep this in mind: Albacore, bluefin, bigeye, sword fish, marlin, shark and tilefish are the fish highest in mercury. The larger and older the fish, the higher probability that elevated levels of mercury are present. Fish with the lowest rate of mercury are: Salmon, sardines, herring, lake trout, rainbow trout, Spanish Mackerel. Additional Heart Healthy Foods (Seafoods) Atlantic Cod, Anchovies, Atlantic Salmon, Atlantic Herring, Clams, Haddock, Wild Coho Salmon, Pacific Oysters, Swordfish, Wild Rainbow Trout. What is the Relationship Between Homocysteine and Protein? Poultry and meats are high protein foods. Although protein is a heart healthy food, protein needs to be eaten in moderation. When eating protein, eat lots of leafy greens to offset homocysteine. When we eat protein, especially in meats, it creates homocysteine, which is an amino acid. Homocysteine is a building block of protein. Homocysteine is created when the amino acid thionine is metabolized. If homocysteine rises to unhealthy levels in the bloodstream, it can create blockages of blood vessels. Scientists believe that homocysteine causes damage to the inside of the arteries and can contribute to blood clots. You can control homocysteine by what you eat. 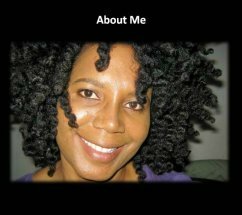 In normal, healthy people, homocysteine is cleared out normally. But this is not always the case. Some people are unable to clear homocysteine from the blood. Nutrients present in spinach and other dark, green leafy vegetables can facilitate this clearing process of homocysteine. Spinach is a potent heart healthy food. Spinach is very rich in folate (B-6 and B-12), which lowers homocysteine levels in the blood. Getting B vitamins from folate is a lot more effective than taking a supplement. Our bodies are designed to extract nutrients from foods. Folic acid is the synthetic version of folate. Many times, folic acid is fortified in pre-packaged foods. They are both effective for lowering homocysteine in the blood. Eat foods in their whole form. Whole foods are digested slowly for even blood glucose control. Refined grains or high glycemic carbohydrates are not recommended as heart healthy foods. White flour has had the kernels and nutrient-dense germ removed. White, refined carbs greatly increase the risk for diabetes. Diabetics are at greater risk for heart disease related to atherosclerosis. Brown rice, wheat pasta, barley and quinoa are much safer choices. White rice and white flour are lacking in key nutrients. Individuals who eat refined grains like white rice, white bread and flour products, have a reduced ability to process insulin. Insulin resistance is one of the first markers for heart disease. Old fashioned whole grain oatmeal or steel cut oats have state-of-the-art, plaque fighting compounds. Whole oats reduce blood cholesterol and risk for Type II Diabetes. Remember that high insulin creates atherosclerosis which can lead to heart attacks. Atherosclerosis is defined as fatty plaque deposits on the interior of the artery walls. Quick oats or one-minute oats are a high glycemic food and do not meet healthy heart diet recommendations. 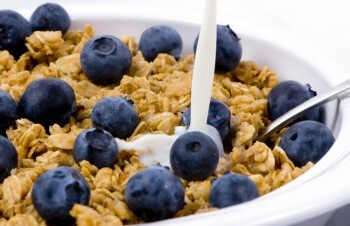 Instead, opt for whole grain, old fashioned oatmeal or steel cut oats. These whole grains provide a slow rise in blood sugar, and have tremendous health value. Lentils deserve special mention here. Lentils are one of the oldest crops known to human civilization. Lentils can be tracked back to 6000 B.C. The word lentil comes from the Latin word lens because its shape looks like a lens. Lentils have massive amounts of nutrients; fiber, plant proteins, iron and vitamins. Lentils are easy on the pocketbook. One bag of lentils costs approximately one dollar or less. What makes lentils so special is that they are an amazing plant protein. In studies done on cardiac patients, men and women who followed a healthy diet containing lentils four or more times a week had a 22 percent less lowered risk of cardiac risks, including cardiac mortality. Legumes are lacking the essential amino acids methionine and tryptophan. So you must eat a grain that has methionine and tryptophan to supply your body with plenty of complete essential proteins. Plant sources of protein are considered complimentary protein. If you combine lentils with grains for a complete protein, they do not have to be eaten at the same time. You can eat them at different times to get the same benefits. An excellent way to supplement protein is by consuming large amounts of plant proteins. Your body has to do extra work to digest animal protein. High amounts of animal protein creates excessive acid which can lead to osteoporosis and other conditions. Our bodies make up for large amounts of acid by drawing calcium out of our bones. Beans are a super food. Beans contain the highest amount of protein of any vegetable. Studies have shown that individuals who eat one serving of beans per day have a 40 percent decreased chance of heart attack. Pinto, kidney, butter and black beans all contain plant proteins. They also contain soluble and insoluble fiber. Beans lower bad (LDL) cholesterol and triglyceride levels. Triglycerides are fatty acids present in your blood that increase risk for heart disease. 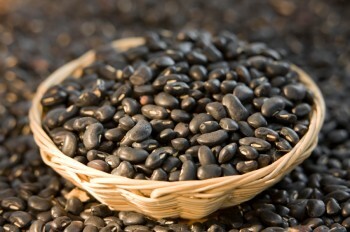 Black, pinto and red kidney beans are highest in anti-oxidants. Legumes lower fasting insulin levels. Why is Red Wine a Heart Healthy Food? The Mediterranean diet is at the top of the list for heart healthy foods. Since the Mediterranean diet boasts a diet high in red wine, as a result, people in Mediterranean countries have some of the lowest rates of heart disease in the world. There have been extensive studies done on the effects of longevity and red wine. It has been concluded that red wine in Mediterranean diets contribute to a longer lifespan. 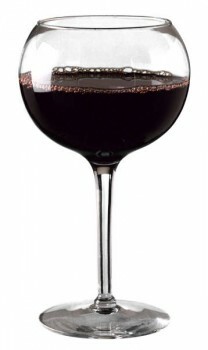 The benefits of red wine is greatest when consumed in moderation, one to two glasses per day. When excessive alcohol is consumed, it has a damaging effect on the heart. For heart protection, scientist have discovered the benefits of an abundance of polyphenols present in red wine. Moderate amounts of red wine actually neutralize cardiovascular risk. It has been shown that red wine has remarkable properties that reduce the risk for atherosclerosis which leads to heart disease. Pinot noir and Cabernet Sauvignon have high levels of polyphenol antioxidants. How Does Dark Chocolate Affect My Heart? Dark chocolate gets extremely high marks as a heart healthy food. Dark chocolate, 70 percent cacao or higher, is extremely effective for the prevention of heart disease. Dark chocolate is rich in flavonol rich cacao. Eating dark chocolate regularly reduces systolic and diastolic blood pressure as effectively as medications used to treat blood pressure. Dark chocolate can prevent the progression of hypertension. Dark chocolate has compounds that reduce low-grade inflammation which is associated with heart disease. For best results, eat one or two squares of dark chocolate per day. Try This Chocolate Brownie Recipe. It's Good For Your Heart! Try our natural healthy hot chocolate recipe. It will blow your mind how good natural chocolate tastes. The ECGCs found in green tea are a tremendous cardio-protective antioxidant. Green tea has 40 percent more polyphenols than black tea. Very high levels of ECGCs found in green tea lower inflammation in the blood and reduce oxidation of LDL. The plant polyphenols found in green tea protect you against plaque buildup. Between black, oolong and white teas, green tea has the highest antioxidant content. 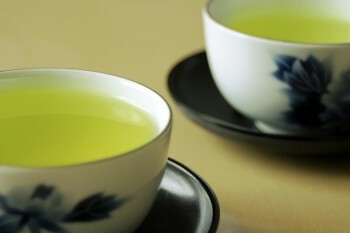 Green tea yields the most power for cardiovascular health. Green, white and black teas are basically classified by how much they are processed. Green tea has the least processing and offers the most benefits. Green tea retains the highest amount of plant antioxidants. You need nine servings of richly colored vegetables per day. These servings need to be spread throughout the day for the best heart protection. The nutrients in vegetables have been shown to turn on 500 protective genes in your DNA. The antioxidants contained in vegetables act like an army against heart disease. The dense nutrients contained in vegetables contain instructions that tell our bodies what to do. In essence, these nutrients act as plant chemical messengers. Vegetables contain thousands of these phytonutrients (plant nutrients). Phytochemicals found in vegetables very effectively reverse atherosclerosis. Dark leafy green vegetables have been shown to have the highest antioxidant capacity. Spinach is the most nutrient dense food known to food scientists. 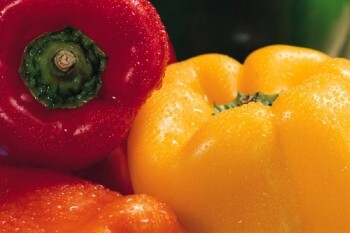 Dark green leaves, bright orange and yellow vegetables contain carotenoids. Carotenoids contain antioxidants that reduce inflammation and stunt the onset of heart disease. 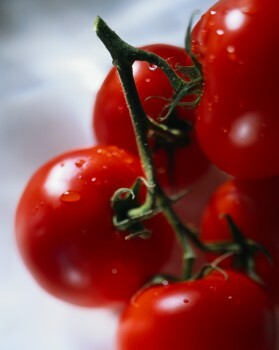 Red and purple vegetables such as tomatoes, beets and red onions contain an abundance of carotenoids. For heart healthy foods, always reach for the deepest, darkest color. Onions and Garlic: Onions and garlic are potent heart healthy foods. Onions and garlic contain organosulfur compounds. These natural compounds activate your natural killer T cells and boost your immune system. Garlic and onions lower bad cholesterol and act as a blood thinners. Onions and garlic make blood clotting less likely by interrupting the formation of clots. Garlic and onions are in the same family and are considered superfoods. Yellow vegetables such as pumpkins, winter squash, peppers and sweet potatoes have primary antioxidants that protect your heart. These densely colored vegetables contain beta carotenes. Beta carotenes mop up free radicals contained deep inside the LDL particle. The powerful anti-oxidants found in fruits stop oxidation that can lead to plaque formation. Fruits contain Vitamin C, Vitamin E and polyphenols, which guard against heart disease. Quercetin which is found in apples and onions have anti-inflammatory and antioxidant compounds. The quercetin that's contained in fruit stops the formation of plaque. Quercetin acts as a vasodilator, relaxing and widening the blood vessels. High blood pressure is one of the biggest risk factors for heart disease. Very high amounts of fruits and vegetables reduce high blood pressure without drugs. Potassium plays a key role in lowering blood pressure. Bananas, prunes and oranges have very high levels of potassium. Walnuts contain heart healthy ALAs. The ALAs contained in walnuts lower LDL cholesterol. 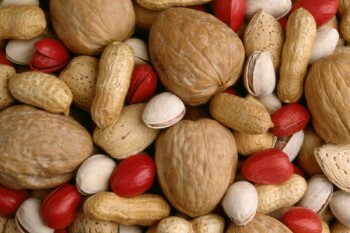 Nuts contain arginine, which is an amino acid. Arginine has been shown in studies to greatly diminish the risk of coronary heart disease (CHD). Arginine lowers cholesterol and stops the accumulation of fat in the artery walls. Arginine increases immunity. Nuts contain Vitamin E, which is an anti-oxidant. Vitamin E prevents the oxidation of cholesterol which can lead to plaque buildup. Nuts contain selenium, polyphenols, alpha linolenic acid and selenium, which are all heart protective. Nuts contain folate which lowers homocysteine. High homocysteine levels have been linked to heart disease. It's best to eat unprocessed nuts. The thin, brown covering inside the nut shell contains antioxidant polyphenols. To get the most benefit for your heart, eat unshelled nuts.